A few weeks ago I made some awesome (can I say that about my own stuff?) 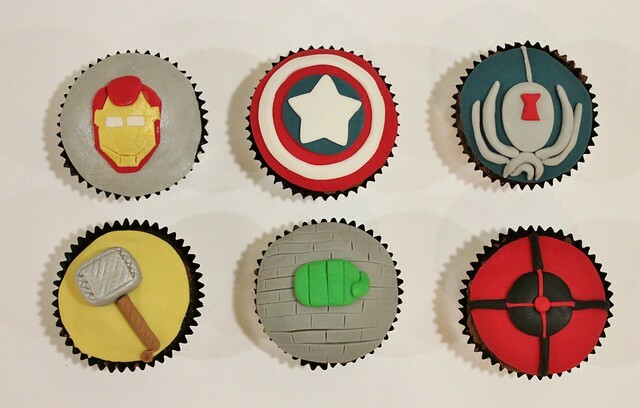 cupcakes to celebrate the Avengers movie coming out. Underneath that fondant and buttercream there was actually some caramel inserted into these cupcakes! 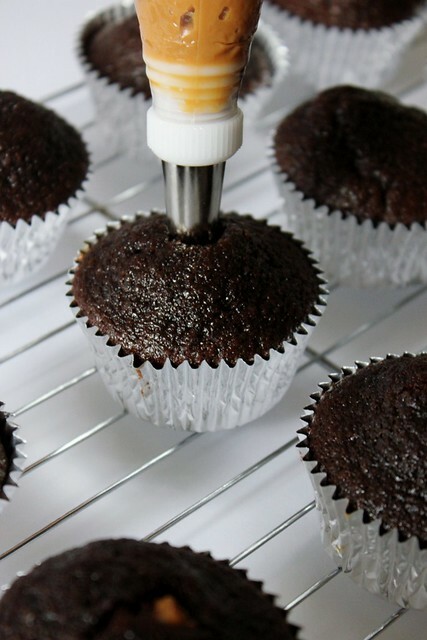 1) Assemble piping bag with appropriate tip, I'm using the Bismarck tip which is designed especially to fill cupcakes. Once you're sorted prop it up in a tall glass or container so you can fill it easily. 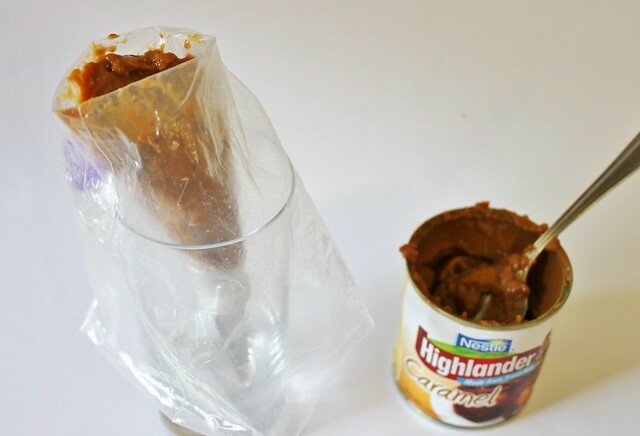 2) Spoon filling into the piping bag. 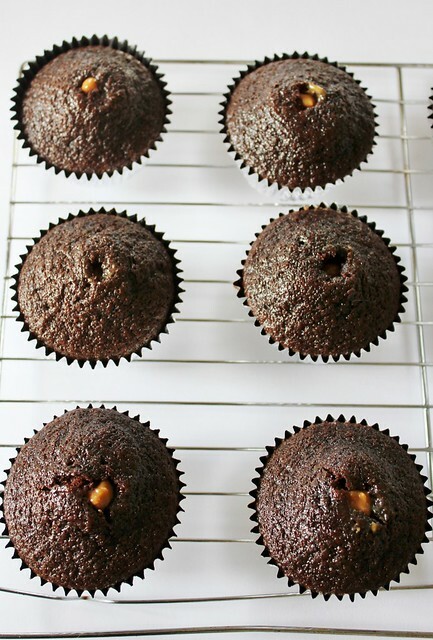 3) Insert tip into cupcakes and swirl it around a few times to give the filling room to spread. 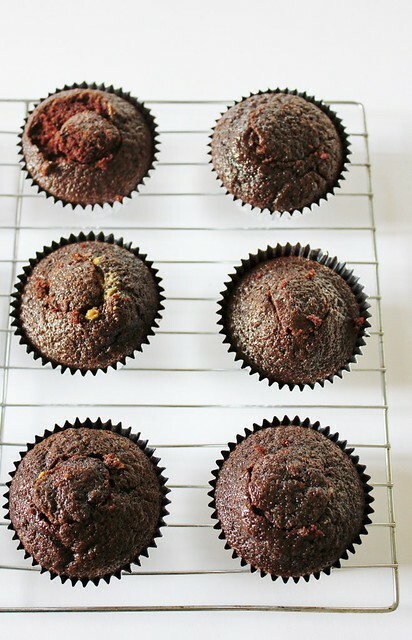 4) Squeeze filling into cupcake until you can see a tiny bit popping out from the hole. 5) Ice with buttercream as usual on top. 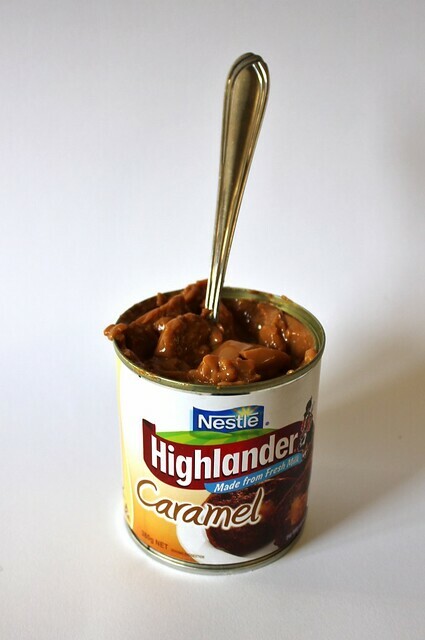 1) Use a sharp knife and cut a small hole (or big if you want lots of filling!) on an angle so it looks a bit like a pyrimad when you remove the cake. 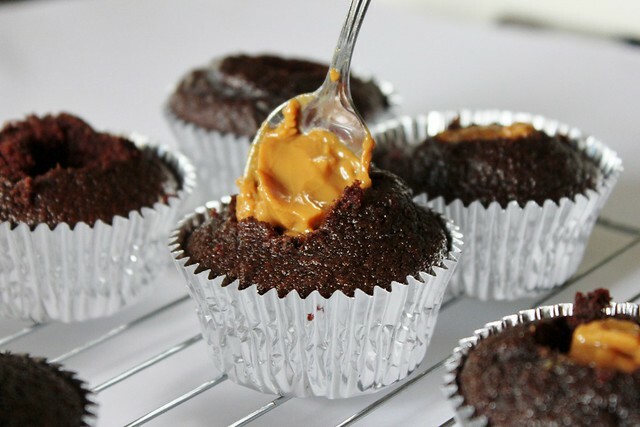 3) Spoon filling into hole in cupcakes. 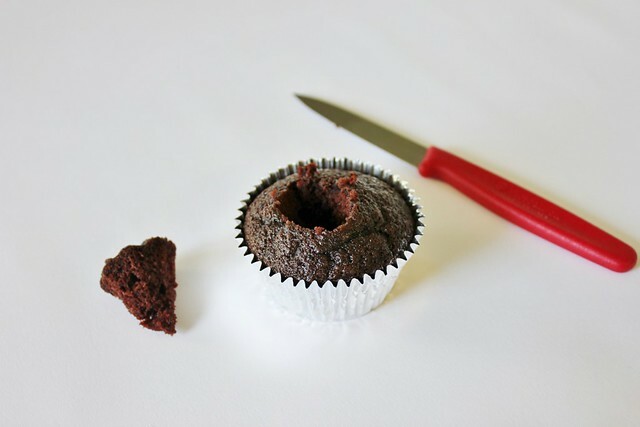 4) Cut the piece of cake taken from the cupcake so that you are left with just a lid. 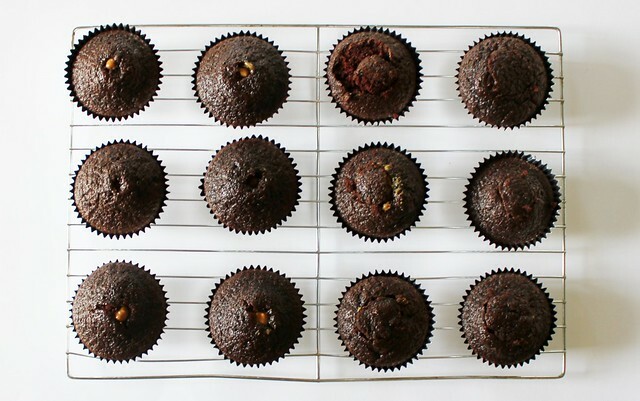 5) Replace the "lid" of the cupcake, this is a bit like a jigsaw puzzle. It doesn't really matter how it looks as you'll be covering it with icing anyway! 6) Ice with buttercream on top as usual. As you can see both techniques are fine to use it's up to you. It really doesn't matter how they look in the end because you can cover it with delicious buttercream icing!